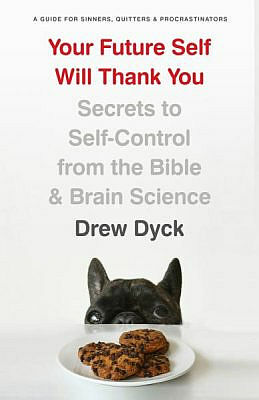 I’m currently reading Your Future Self Will Thank You by Drew Dyck. Released just a few weeks ago, it’s already into its second printing and I had hoped to review it pre-publication, but it only showed up in the mail last week. Considering one of the things the book deals with is procrastination, I do promise a full review; but I’m only about 65% through the book at this stage so this isn’t it. The book deals with self control. The subtitle is, Secrets to Self-Control from the Bible and Brain Science, but there’s also a tag line across the top of the cover that at least one vendor is using as the subtitle, A Guide for Sinners, Quitters, and Procrastinators. Either way, you get the idea. In his book The Road to Character, David Brooks argues that we live in a post-character culture. We care more about success and achievements (what Brooks calls “resumé virtues”) than we do about cultivating traits like honesty or faithfulness (what Brooks calls “eulogy virtues,” the kind of qualities that get mentioned at your funeral). Part of the reason for this shift, Brooks writes, is that we have strayed from a school of thought that saw people, not as inherently good, but as fundamentally flawed. Brooks dubs this the “crooked timber” tradition, a phrase he borrowed from the philosopher Immanuel Kant: “Out of the crooked timber of humanity, no straight thing was ever made.” According to this older view of human nature, we are not inherently good creatures who simply need more freedom and affirmation. Rather, we are splendid but damaged. Like crooked timbers, we need to be straightened. Brooks writes that the crooked timber tradition was “based on the awareness of sin and the confrontation with sin.” And here’s the surprising part. 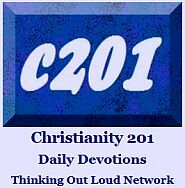 According to Brooks, it was this consciousness of sin that allowed people to cultivate virtue. That might seem like a strange argument. How could having a dim view of human nature enable people to become more virtuous? Because once they were conscious of their sinful nature, they could take steps to fight against it. “People in this ‘crooked timber’ school of humanity have an acute awareness of their own flaws and believe that character is built in the struggle against their own weaknesses,” Brooks writes. “Character is built in the course of your inner confrontation.” This inner confrontation is anything but easy, but the struggle is worth it. I included a little extra in this excerpt, but it’s the contrast between resumé virtues and eulogy virtues which really got me thinking; in a way that it really was front of mind during much of the weekend. It’s so easy to get caught in the now and forget the eternal. Lorne Anderson is a Canadian living in Germany. This appeared on his blog earlier today. As an introvert, I try my best not to overload on people contact. I need space and solitude. I’ve come to the realization that is one of the reasons why learning German is difficult for me. It is not just that the language is hard, but I was also thrown into a classroom with a bunch of people I didn’t know and expected to interact. Tough to withdraw into your shell in a such a situation. Despite my preferences, I understand the need for human contact. Living a solitary life isn’t healthy, no matter how appealing it is. When my wife wants to invite someone over, I usually agree. And enjoy myself. I am introverted, but not shy. I have no difficulty standing on a platform speaking to thousands of people at a concert, as I have had to do from time to time in my radio career. But that is something that comes with the job, not out of my desires. Most people, I think, crave human interaction far more than I do. And with the social changes of the past 50 years or so, people are getting far less of that interaction than they want or need. As a result, many people are lonely. I suppose it was inevitable that government would step in to deal with the loneliness problem. The United Kingdom now has a Minister of Loneliness. I seem to recall hearing that other jurisdictions are introducing similar positions. To say I have mixed feelings about that is an understatement. I applaud that the problem has been recognized, while at the same time decrying the solution. I don’t believe government has the answers to our problems; nor do I believe government is my friend. I’ve worked in politics; if I was lonely it wouldn’t be politicians I was turning to for companionship. Dealing with loneliness may become one of the central issues of our time. We live in a world where it is increasing possible to be always connected to others through social media. In theory people should not feel lonely, surrounded as we are by so many others. Yet social media does not bring with it intimacy. It may indeed discourage it. Your posts are there for the world to see. It makes sense therefore to hold back some of yourself rather than let your personality show, warts and all. After all, others may be judging you. Better to put your best face forward. But is your best face your real face? Do you trust people with the real you? And if not, does that holding back take a toll, isolating you and increasing the chances of being lonely. Just because there are always people around doesn’t mean that you have anything deeper than a superficial relationship. Which is why I doubt that having a Minister of Loneliness can have positive effects, aside from providing jobs for some otherwise unemployable social science graduates (full disclosure – I am a social science graduate.). Government no matter how well-meaning, isn’t going to find friends for me, or anyone else who needs them. If it tries, I suspect it would fail – despite data mining, it doesn’t know me that well. At this point I could make some theological observations about human nature and being created in God’s image, which would be relevant but would also make this post longer than it should be. So, I’ll hold back on that thought, maybe for another day. One basic observation though. I wonder if the cure for loneliness starts with cutting back on or even eliminating electronic communications? Maybe we would be less lonely as a society if we spent more time fact to face and less time face to screen. You’re a zillion miles from home and you’re walking through a mall or a downtown street and you’ve got your radar on to see if you see anyone you know. But you keep scanning anyway. We long for connection to other people. I think if I joined a mega-church and aspired to be part of the worship team, and then jumped through all the hoops of auditioning and qualifying, when the moment finally came where I was actually on that stage, I would be so concerned about doing well and making a good impression, I actually wouldn’t really be worshiping God at that moment. Human nature is human nature. If you read the tags, I’ve tagged this post “ecclesiastical ambition.” It certainly describes pastors, but musicians have a more natural affinity to wanting acceptance; of wanting to be liked. Today’s post was written by this guy. So here’s what I’ve concluded: Everybody who gets up on a large (or mega) church platform should be forced to wear a mask so that nobody knows who they are. Yes, a mask. Think of what a motive-purifying thing this would be. Think of how this would respond to the church culture that sees the people on the platform as performers. If this goes against the grain, you could consider having the musicians (and people who do announcements) stand with their backs to the audience. Or they could present the worship set from the back of the auditorium the way many church choirs once stood in a balcony at the back; the manner in which the church organist (the only church musician at the time) once performed from the back, or with his or her back to the congregation. In the life of service to God through public ministry, there’s no room for ego. 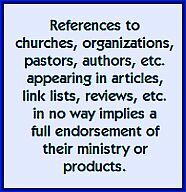 Update 10:30 AM: I had no idea when I posted this that the same day Talbot Davis would post a sermon text with the repeated refrain, “God’s word is better delivered in obscurity than by celebrity.” Take the time to read it by clicking this link. 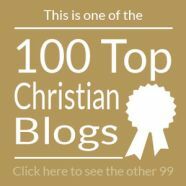 Somewhat related: “There is no limit on what can be done for God if it does not matter who is getting the earthly credit.” Read that blog post here.